In the Land of 10,000 Lakes, we enjoy freezing. At least some of us do. The rest have to put up with it regardless of enjoyment, because it’s bound to happen when tempuratures are below the point where water solidifies in at least nine months of the year. Because of this, the day after Thanksgiving all the way until Christmas the city of Minneapolis hosts a parade at night where we can sport our greatest heavy coats and clutch paper cups of cocoa. 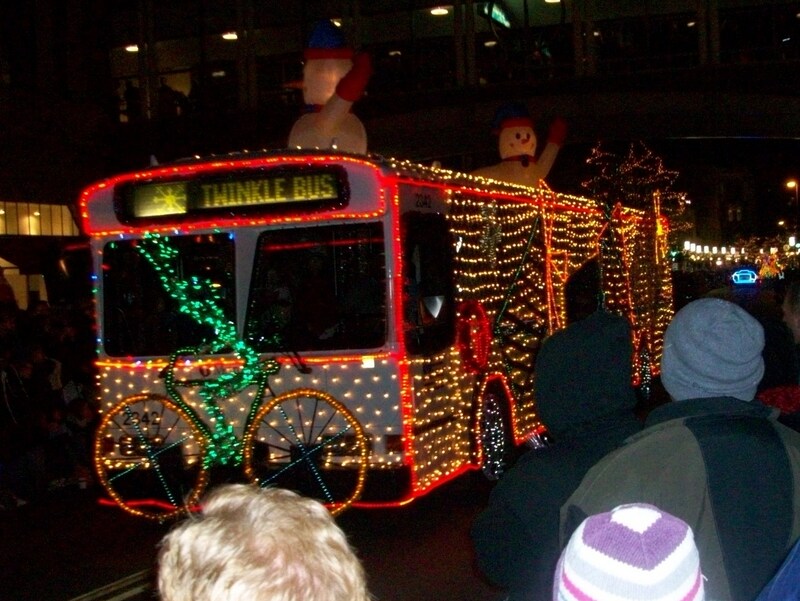 The parade is called Holidazzle. It runs down Nicolett Avenue, which we would call Main St. if larger cities had main streets. 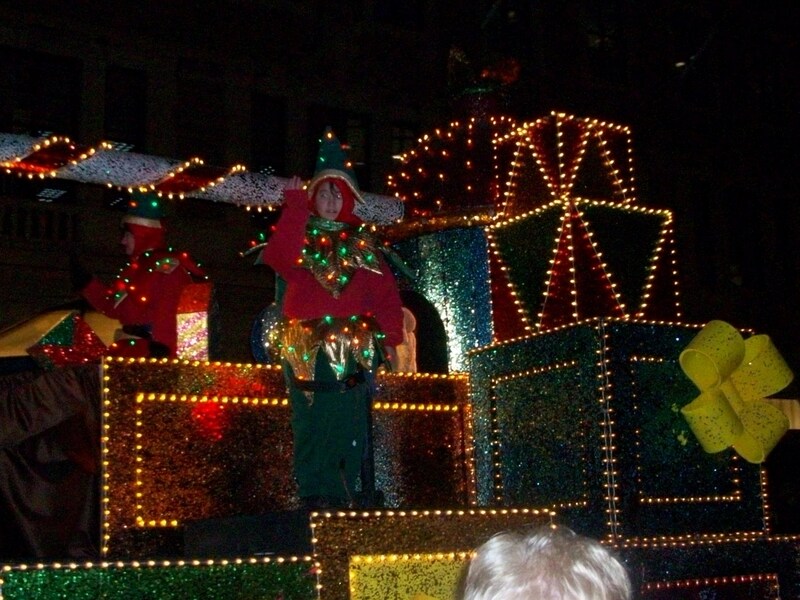 There’s floats which are based on fairy tales ending with Mr. S.C. ho-ho-hoing his way into the season. All the street lights are turned off for the parade as all the floats are lit with Christmas lights. Every year I annoyingly insist that everyone in the family be there on Black Friday, which is the debut of the parade for the year. This year held no exceptions. I’d like to show you better photos of the night, but I got stuck behind a man with a bald spot and his lovely wife who were not going to move for the hyper redhead who took one hundred and nine photos during the festivities. 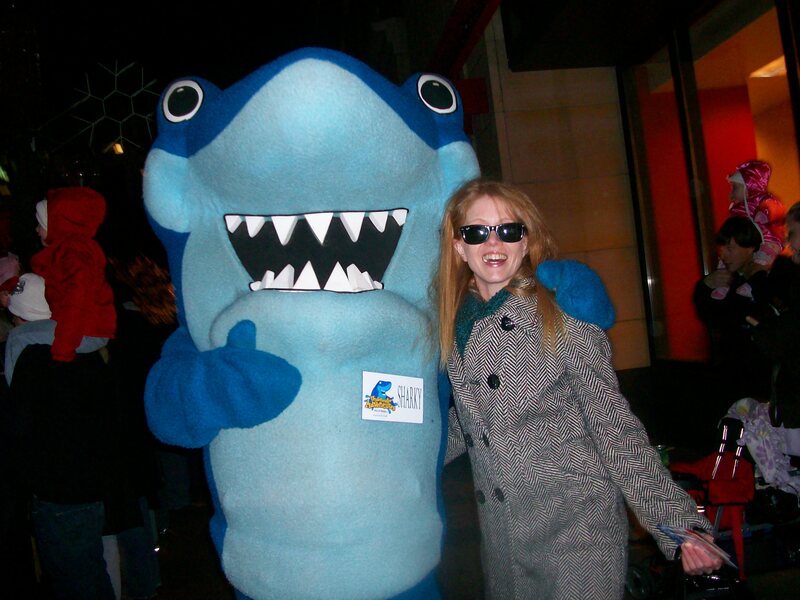 So, I present to you Holidazzle Oh Eight! 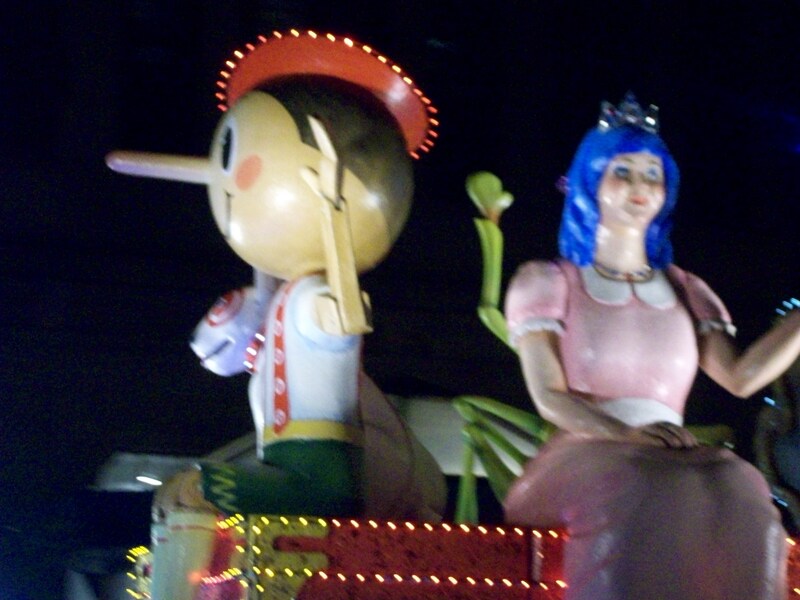 PInnochio was a bit creepy. There were a dozen or so fairy tale style floats. Most of which I got terrible pics of. Whoops. This is supposed to be a snowman that does nothing more than spin and make you feel jolly. 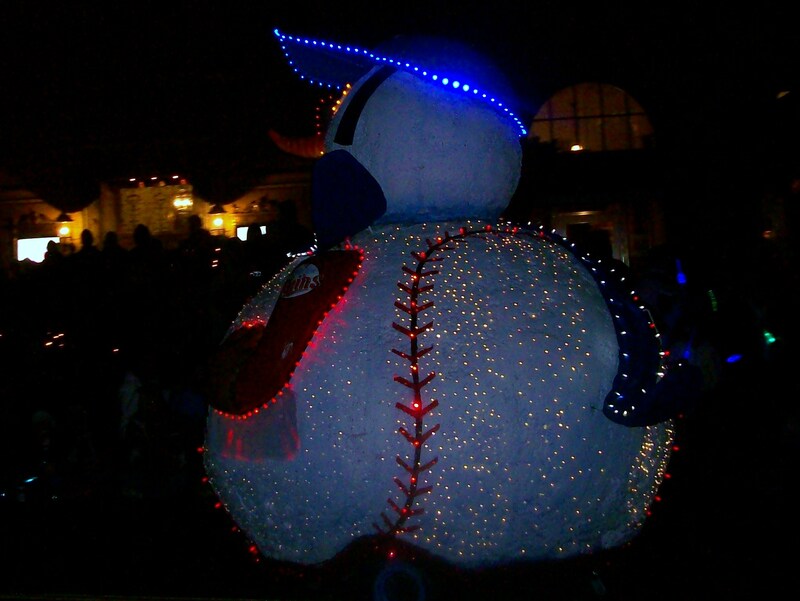 This year they dressed the snowman as Joe Mauer with Minnesota Twins gear and sideburns and all, in the spinning I could not get a decent shot. 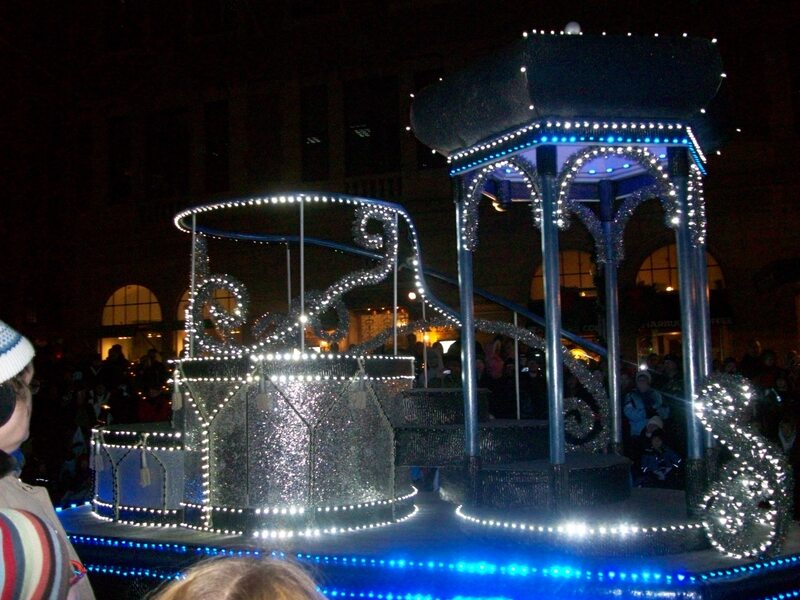 This float was completely empty. It was quite confusing. I was very tempted to climb on up myself and sing some carols. However they collect food for a local food shelf nightly and I did not want said food to be thrown at me. The local bus company does this every year I would be impressed if I saw it making the rounds on a random Tuesday night, but never have. These little weird bulbs are running all over the place. 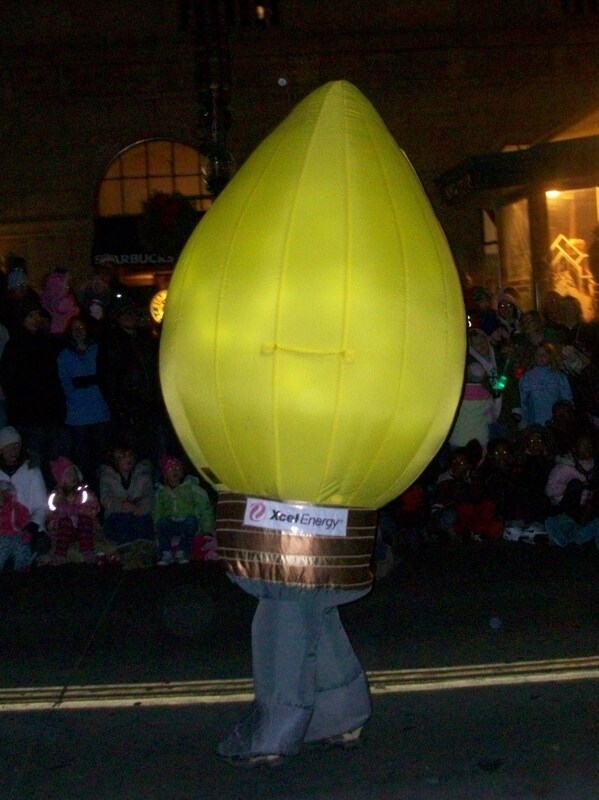 I’d love to be assigned as a light bulb one year for the parade. So, Santa comes around and we know it’s over. I always swear I will come back at least once or twice during the season to the parade, yet never do. Maybe this year I will follow through. 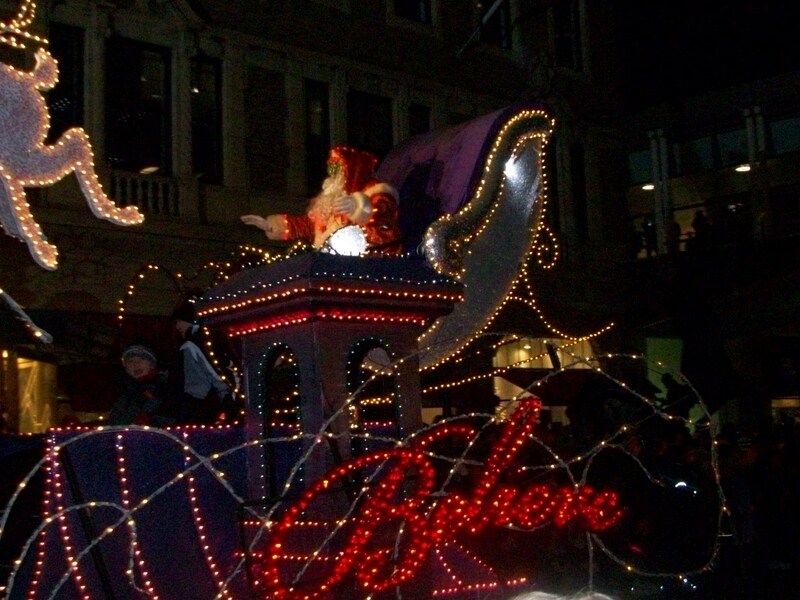 This entry was posted in Blogroll, family, happiness, health, home, kids, travel and tagged Christmas, Cocoa, Holidays, Lights, Parades, Santa. Bookmark the permalink. What a fun tradition! And what good pictures you got, even in the dark! Very cool. I would like to see some kind of freakish “Sorcerer’s Apprentice” thing going on with those Lightbulbs. so they do this every night till christmas? or every weekend? I believe it’s Wed-Sun…maybe Thurs-Sun. Not every day though. Wow, that’s awesome. Nice picture-taking skills.